Today you can get the 2.5-inch SanDisk Ultra II SSD with 1TB capacity for $270. The best thing you can do to improve the performance of an old PC is to swap out that spinning hard drive for an SSD. Just a few years ago that meant you’d trade speed for capacity, but that’s quickly changing. Today, Amazon’s got a deal on an SSD with a 1TB capacity. 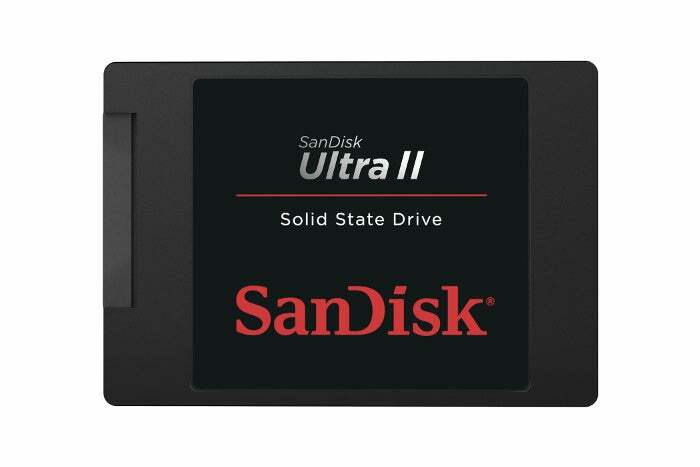 The SanDisk Ultra II 1TB 2.5-inch SATA III drive is on sale today for $270. That might not sound cheap, especially if you were tracking prices just last fall. But we’re in an period of inflated prices for SSDs—so if you need to buy a drive now, this is one of the better discounts we’ve seen in recent weeks. While we haven’t reviewed this drive at PCWorld, it’s well reviewed on Amazon. SanDisk says this drive has sequential read speeds of up to 545MB/s and write speeds up to 525MB/s. Inside is TLC (triple-level cell) NAND, with a feature the company calls nCache 2.0 technology. Basically what this means is that part of the drive runs as regular TLC flash allowing for better speeds. Meanwhile a larger portion of the drive runs in a pseudo-SLC mode allowing for more reliability. That’s the basic gist. If you want the nitty-gritty details, check out AnandTech’s write-up. If Amazon sells out of the SanDisk model for an extra $20, you can get Crucial’s MX300 with a 1TB capacity. We didn’t review that Crucial model specifically, but we did like its smaller-sized cousin the 750GB MX300.